As from 2011-12 her career took off at great speed: she made her first steps in the Bel Canto with Amina/LA SONNAMBULA under Jean-Claude Malgoire who also offered her La Folie/PLATEE; the Aix-en-Provence Festival inviteds her for Serpetta/LA FINTA GIARDINIERA (staged by Vincent Boussard, July 2012); the Montpellier Opera offered her the title-part of LAKME; she is awarded Opera Singer Discovery of the year at the 20th French Victoires de la Musique in 2013; the Lyon National Opera gave her the opportunity to perform her first Queen of the Night/Magic Flute and she signed an exclusivity contract with Erato/Warner Classics ! Since then she performed Constance/DIALOGUES DES CARMELITES at the Lyon National Opera (staged by Christophe Honoré), in a last minute replacement at Paris Théâtre des Champs-Elysées (cond : Jérémie Rohrer, staged by Olivier Py) and at the Amsterdam Opera, LAKME at Paris Opera Comique, Toulon & Avignon; Queen of the Night/DIE ZAUBERFLÖTE at Paris National Opera; Euridyce/ORPHEE ET EURIDYCE at La Monnaie Royal Theatre in Brussels (staged Romeo Castelucci) ; Adèle/DIE FLEDERMAUS at Paris Opera Comique; Mélisande/PELLEAS ET MELISANDE (cond. Jean-Claude Malgoire); Nanetta/FALSTAFF at Marseille Opera; Fire, Princess and Nightingale / L’ENFANT ET LES SORTILEGES at the Glyndebourne Opera Festival & in a concert version under Esa-Pekka Salonen with the Orchestre de Paris at La Philharmonie de Paris, The Philharmonia at the Royal Festival Hall in London or in Stockholm with the Swedish Radio Symphony Orchestra; Ismène/MITRIDATE (Le Concert d’Astrée/Emmanuelle Haïm) & Amina/LA SONNAMBULA in a concert version at the Théâtre des Champs-Elysées, in the series Les Grandes Voix; February 2015: she is awarded Opera Singer of the Year at the 22nd French Victoires de la Musique. Among her projects : Bellezza/IL TRIONFO DEL TEMPO E DEL DISINGANNO at the Aix-en Provence Festival; 2016-17 she returns to Paris National Opera for the MAGIC FLUTE revival and Hero/Béatrice et Bénédict; to Marseille Opera for LAKMÉ and makes her debut at the Milan Scala as Blondchen/DIE ENTFÜHRUNG AUS DEM SERAIL etc. She is invited to perform numerous concerts among others with the Lausanne Chamber Orchestra at the Théâtre du Jorat, with Les Musiciens du Paradis at the Septembre Musical de l’Orne Festival etc. 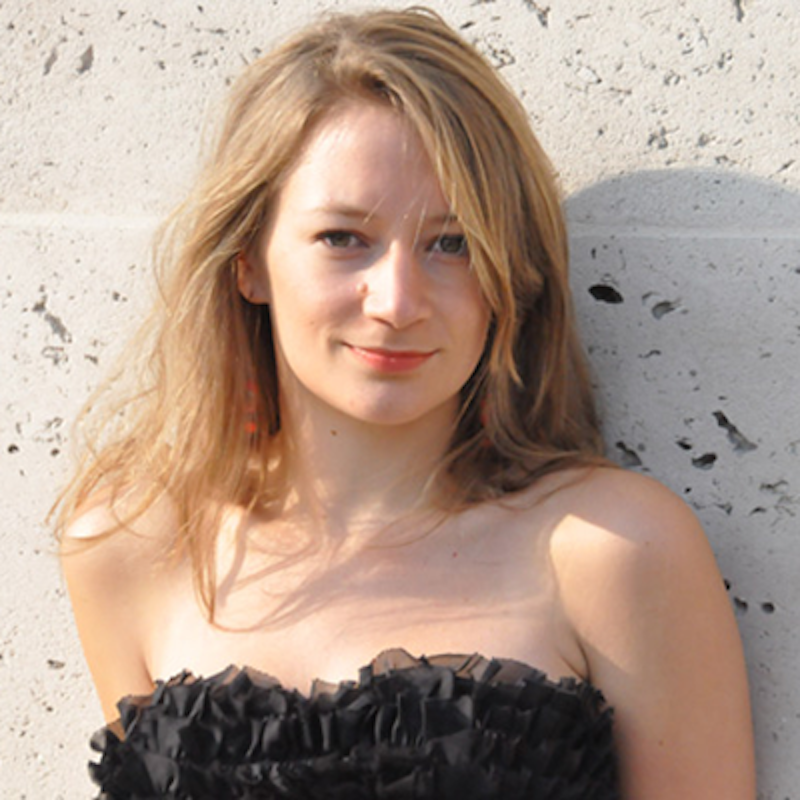 As a fervent defendant of the Lied and the mélodie, she performs in recital with Anne Le Bozec (Lyon National Opera, Auvers sur Oise Festival, etc.). Her first solo album “Rameau, le Grand Théâtre de l’Amour” with Les Ambassadeurs under Alexis Kossenko (November 2013) has been awarded Diapason d’Or, Grand Prix de l’Académie Charles Cros, Disc of the week on BBC Radio 3 (week of Jan 25) & Caecilia Prize 2013 in Belgium. In November 2015 she releases the 2nd opus dedicated to Mozart “Une Académie pour les Soeurs Weber” with Raphaël Pichon at the head of his Ensemble Pygmalion which is followed by a concert tour in France and Asia. She also records Fire, Princess and Nighingale/L’ENFANT ET LES SORTILEGES with the Orchestre Philharmonique de Radio-France for Erato ; etc.